In winter, what’s better than having oranges? 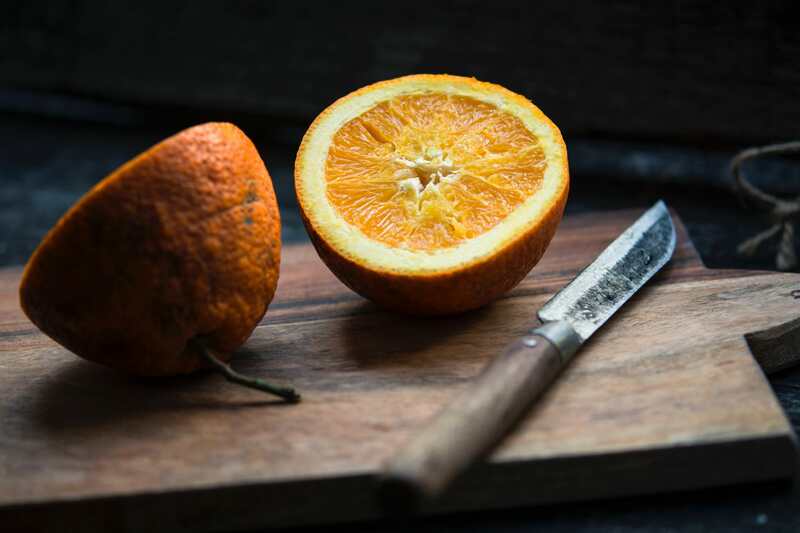 Here at InRome Cooking we only use seasonal ingredients and being January, we thought you would appreciate a little reminder about the various benefits of this beloved citrus fruit which is rich in fibers, vitamins, potassium and calcium. For the pleasure of your palate, we are happy to also share with you a simple orange sorbet recipe to make at home. Because oranges are rich with potassium, they have antioxidant and astringent properties which help to prevent heart and blood circulation diseases and different kinds of cancer, especially the ones affecting the skin and the digestive system. Oranges have fibers, like carotenoids, which stimulate the digestive system and help to remove toxins. They also increase the liver’s production of bile, which is responsible for the digestion of lipids, and prevents the occurrence of ulcers. It’s well-known that oranges have plenty of Vitamin C. Did you know that one gram of Vitamin C helps to reduce the cold duration by 8% in adults and 18 % in kids? Oranges and other sources of Vitamin C like lemons and tangerines can have a central role in making our immune system stronger. The high concentration of vitamin C in the oranges also helps your skin to stay clear and healthy. Too much exposure to sunlight or pollution will damage your skin while the antioxidant vitamin C will help to repair it. To take advantage of this benefit, you can either eat the oranges, make fresh juice, or even apply the orange juice on your skin! Because we are very gourmand, we have selected for you a delicious “kind of light” Orange sorbet recipe to eat after a rich winter meal! Fill a pot with water, sugar, the grated skin of 2 oranges and salt. Let it boil for 5 minutes and then leave it to cool off to get a syrup. Squeeze 10 oranges and add the juice to the syrup. Mix it and leave it in the freezer for 2 hours. After 2 hours, remove the mixture from the freezer, break the ice – you can also use a blender for this – and put it back in the freezer. The drink will never completely freeze. Take the drink out of the freezer when needed and serve it with some orange slices, cream or mint leaves.